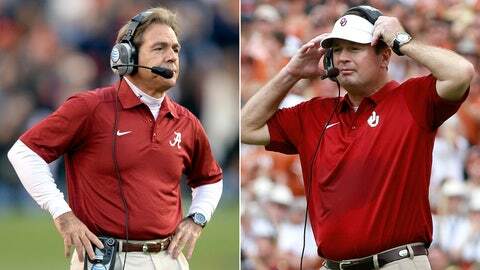 Nick Saban (left) and the No. 3 Crimson Tide are prohibitive favorites to beat Oklahoma in the Sugar Bowl. Alabama will be without two players in its Sugar Bowl clash with Oklahoma. The school announced that running back Alvin Kamara and linebacker Xzavier Dickson have been suspended, in advance of the No. 3 Crimson Tide’s Jan. 2 game against the Sooners in New Orleans. No reasons were given for the suspensions involving Dickson (two tackles-for-losses in 10 games), Alabama’s alternate ‘jack’ linebacker and the true freshman Kamara.